Rupert Murdoch's $15.7bn takeover of Sky is not in the public interest and should be blocked unless a way is found to prevent the media tycoon from influencing the network's news output, Britain's regulator has said. The initial ruling complicates a separate plan by Walt Disney to buy the majority of Mr Murdoch's assets, including Sky. Disney had hoped Murdoch would own 100pc of the European broadcaster by the time it completed its takeover. 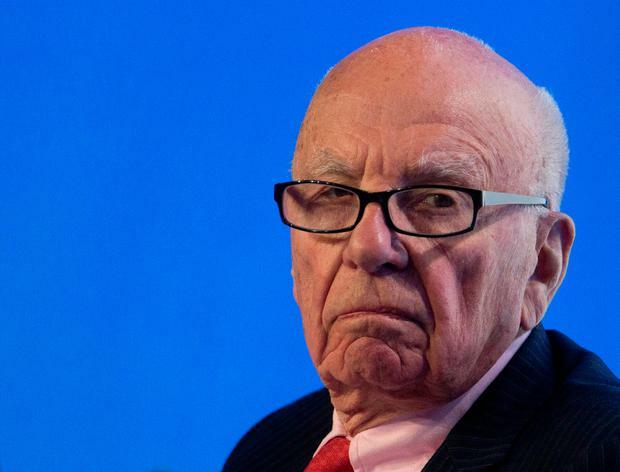 Mr Murdoch's Twenty-First Century Fox agreed to buy the 61pc of Sky it did not already own in December 2016, re-igniting a political row in Britain about the influence he wields through his ownership of newspapers 'The Sun' and 'The Times' and his stake in Sky, the biggest pay-TV platform. Critics of the deal argue that Mr Murdoch could hold sway over the editorial output of Sky News, a loss-making but award-winning 24-hour channel. Sky warned that were the deal to be rejected because of Sky News, it could shut the channel itself. The British government, which will take the final decision on the deal, asked the Competition and Markets Authority (CMA) to judge if Mr Murdoch had too much influence in Britain and would uphold broadcasting standards. "We have provisionally found that if the Fox/Sky merger went ahead as proposed, it would be against the public interest," the CMA's Anne Lambert said yesterday. "It would result in the Murdoch family having too much control over news providers in the UK, and too much influence over public opinion and the political agenda." Mr Murdoch's news outlets are watched, read or heard by nearly a third of Britons and have a combined share of public news consumption that is significantly greater than all other news providers, except the BBC and commercial news provider ITN. Possible ways to resolve concerns about Murdoch's influence in Britain could include spinning off or divesting Sky News, or insulating Sky News from Fox's influence, the CMA said. A third option is to block the deal outright. But the regulator did clear him on broadcasting standards, saying that recent allegations of sexual harassment at his Fox News network in the United States did not call into question his commitment to upholding standards in Britain. An objection on broadcasting standards would have likely sounded the death knell for the deal, while on the face of it, the media plurality concerns are surmountable. Sky shares rose 2.3pc to £10.26 by mid morning. Fox agreed to pay £10.75 in cash for each Sky share in December 2016.